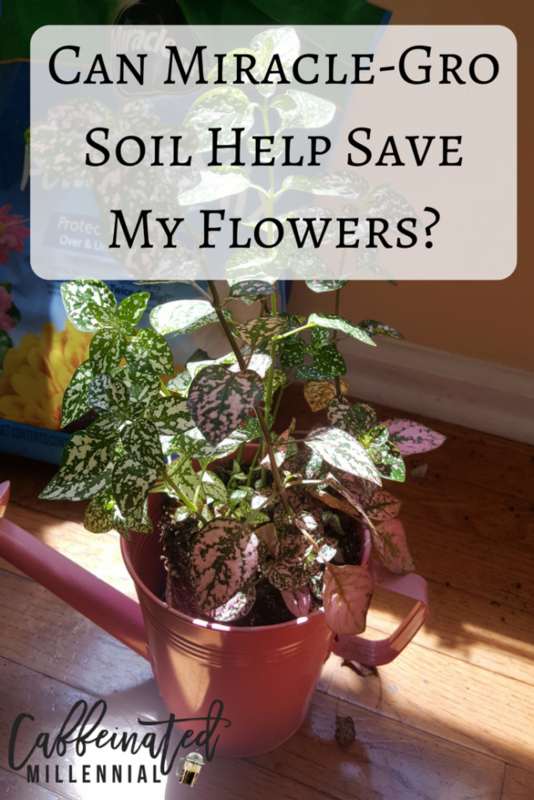 Can Miracle-Gro Soil Help Save My Flowers? 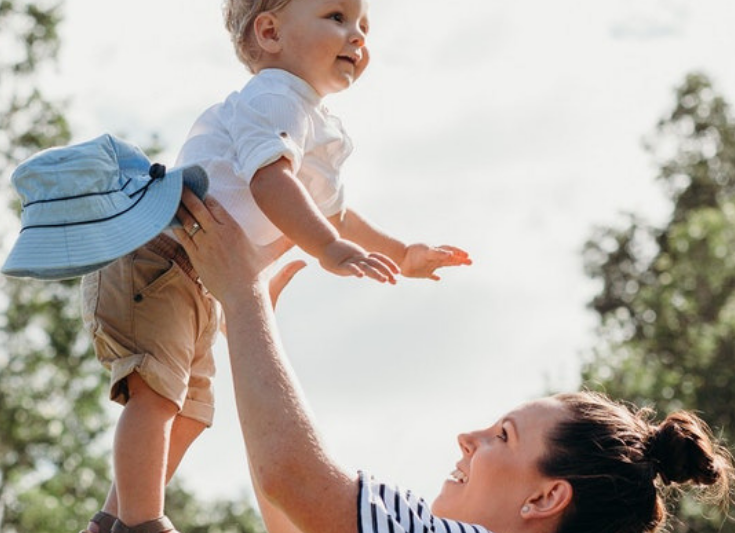 But life gets busy, especially toward the end of the school year and as May turned to June, I realized we really needed a better solution for them if I wanted them to live. 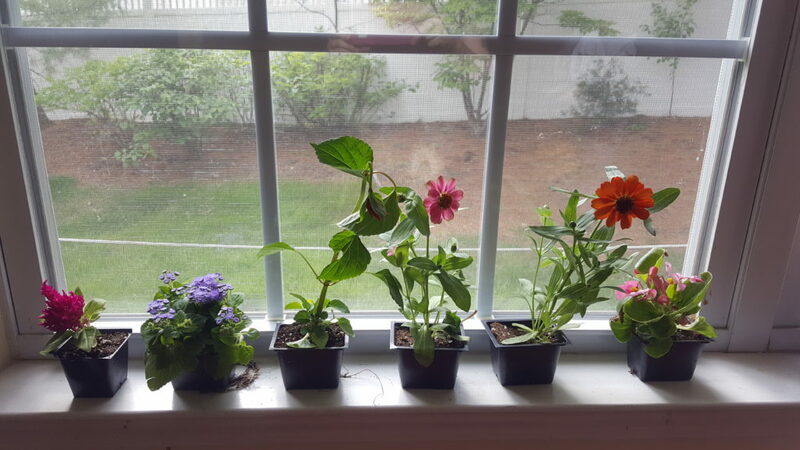 Some of them did really well in the window but for others, it was too much sunlight at certain times of the day. They ended up burnt and crispy… Uh oh! So, my plan all along had been to put them in some nice pots. I don’t think they’d do well outside in the ground as we have pests that try to eat everything and when winter comes, they’ll be dead in an instant. 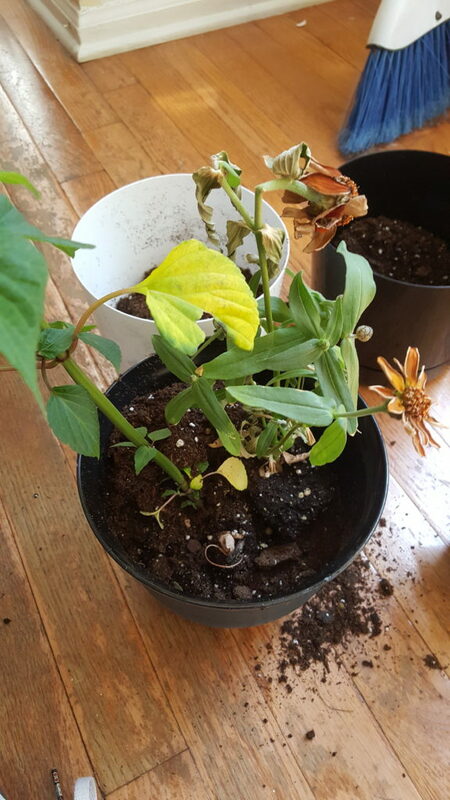 We decided to try our luck at keeping them alive in pots indoors. I already owned the perfect pot for this cute little on on the right. I have a pink watering can pot that will bring out the pink in the leaves just perfectly, so problem solved there. For the others, I’d need to purchase something. Saying “We’re on a budget” this month is an understatement so I went to my favorite go-to store, the Dollar Tree. 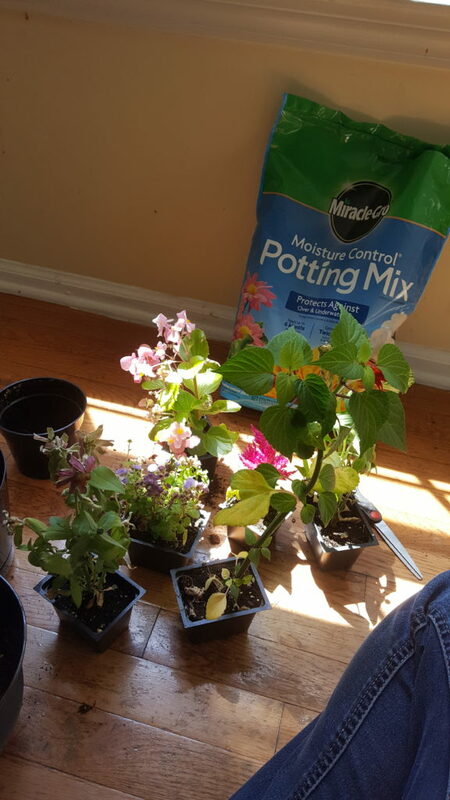 It’s the perfect season for getting gardening stuff from the Dollar Tree so I found several pretty pots that would work for our flowers and some other houseplants I have sitting around. Just make sure you look for the ones with drainage holes on the bottom. They have some cute tin ones but I used those before last year and they didn’t work since they don’t have drainage holes. 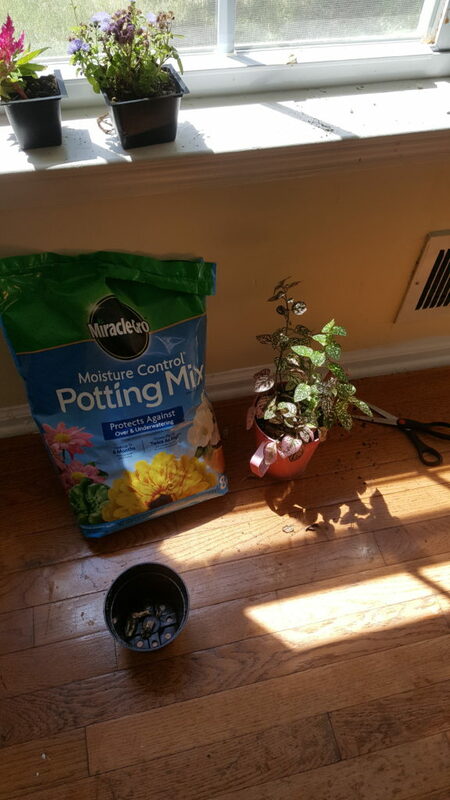 I also picked up some Miracle-Gro Potting Mix that is supposed to be great for moisture control so if you forget to water one day or water a bit too much (as my kids tend to do), it will compensate for you and avoid killing your plants. 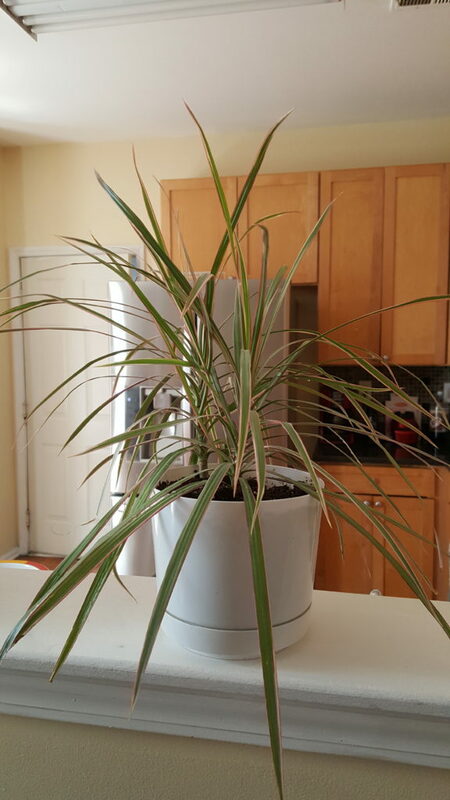 While I don’t proclaim to have a green thumb, I do have a few plants that I have managed to keep alive for a couple of years around our home. I have not, however, managed flowers. I don’t even know the names of all of these (if you think you do, feel free to drop them in the comments). So, this is new territory for me. So, here we go! 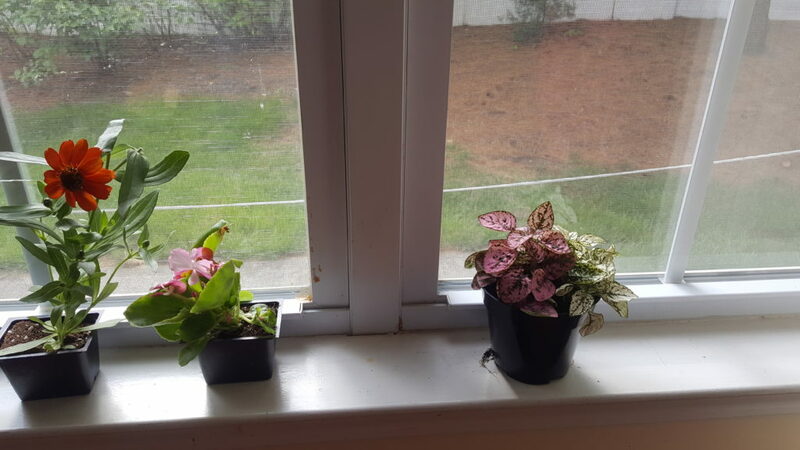 I took pictures of my progress and I ended up putting three flowers in a pot together, the one plant I mentioned above in my pink watering can pot, and I repotted some of the plants I have around my home. There’s this angel plant I keep in the kitchen. It gets by on a moderate amount of light and it’s been thriving for almost two years now since I got it for $3 at Walmart. I decided to put it in a bigger pot and see if it grows larger. It was really a very easy process. 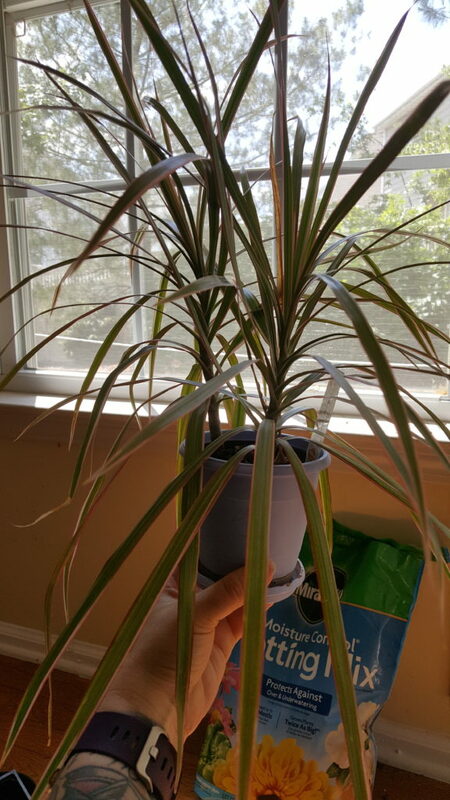 You just dump some dirt in a pot and stick the plant in it. There’s really nothing complicated about it. Some people will advise you to wear gloves. If you don’t want soil under your fingernails, I will advise the same. I just did it with bare hands and washed my hands after and I didn’t have any problems with residual soil sticking around. I actually did this in my kitchen on the floor and just swept it up when I was done. 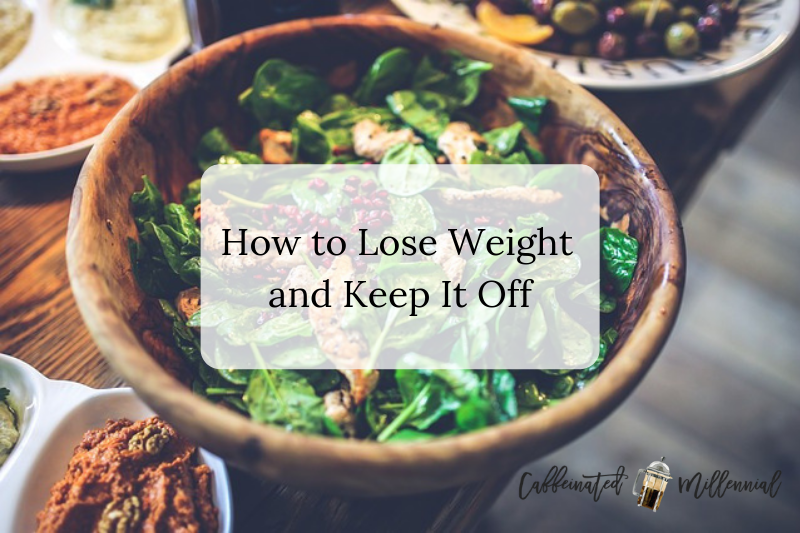 You could do it outside if you don’t want the mess in your house but I found cleanup so easy, it didn’t really matter to me. 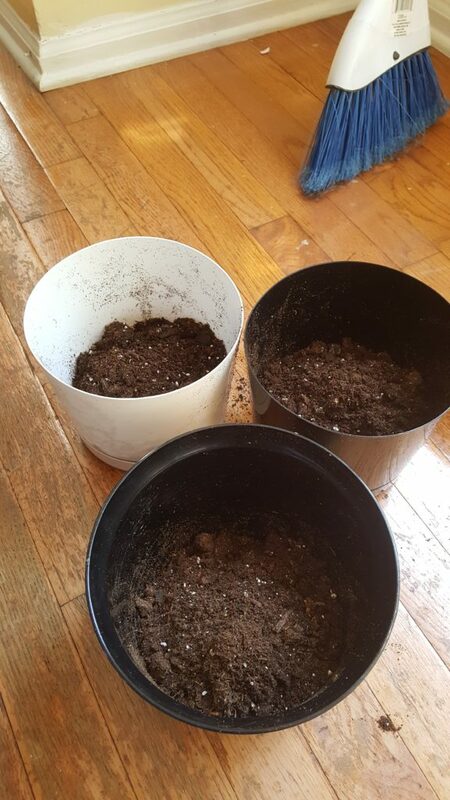 Here are the three pots I got from the Dollar Tree with my Miracle-Gro soil in them. 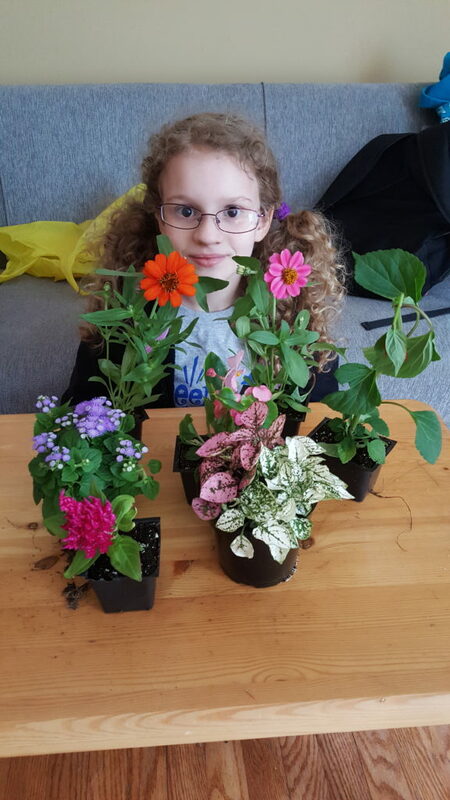 Here are my Mother’s Day flowers that I need to give a more permanent home. You can see that some of them are doing okay, while others were getting dry and looking dead… Here’s hoping the new soil and pots will help revive them. 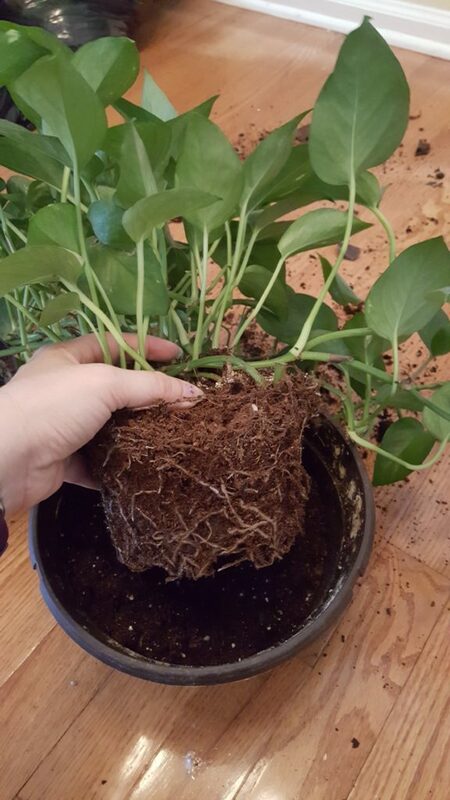 Here I am in the process of repotting. 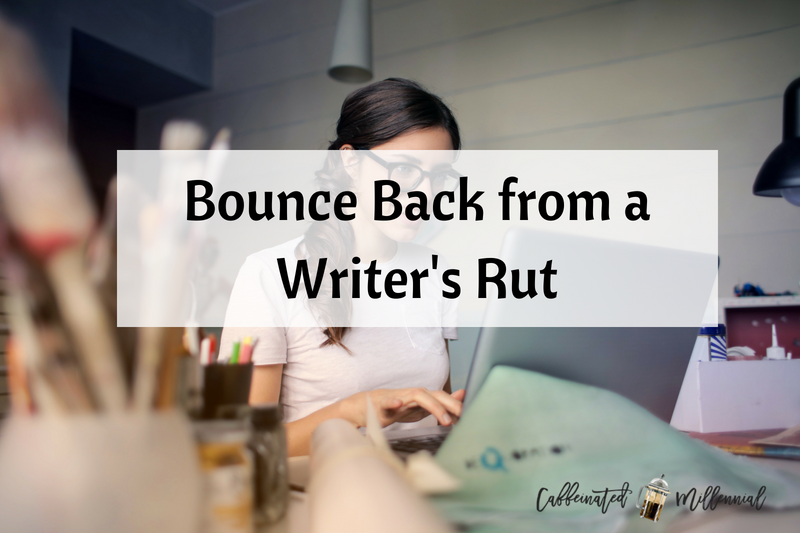 I tried to be gentle with the roots as I moved them so I didn’t tear or fracture them. I just put them roots and old soil and all directly into the pots with the Miracle-Gro soil, then I filled in around it. And here are some pics of the finished products. I put them on my front porch to get some sun. I’ll follow up in a few weeks with the progress. Let’s hope we can get some of them looking a bit more perky. I also hope that they do okay in the same pots. I really know nothing about these flowers or if they share similar care conditions… so it’s going to be a bit of a mystery to me. Now that I had a lot of this bag of soil left, I also decided to do some care on some plants I already had in my home. This one, for example, is my favorite. 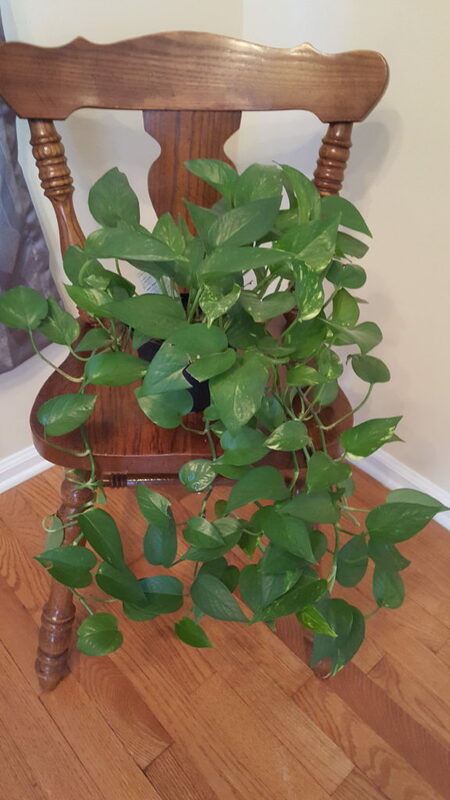 It has been beautiful, green, and thriving for almost two years. It was really small when I first got it and now it’s definitely outgrowing this pot it came in. I decided to move it up to a bigger pot as well and add some fresh Miracle-Gro soil. Now that it’s in a new pot, I think it will have room to continue to grow and thrive. Win! 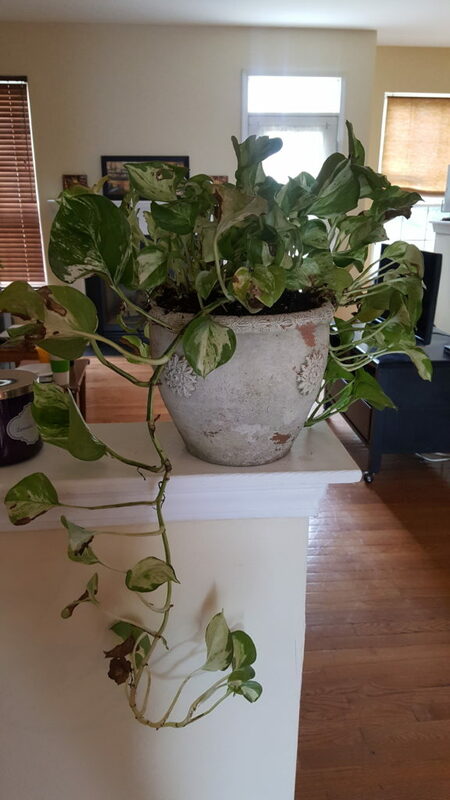 The pot that I used for this one, I took from another vine plant. I made the mistake of putting this one outside and some pests got to it so now it looks bad. The leaves are dead and some are chewed on. I hope the new soil and keeping it inside will help revive it, too. 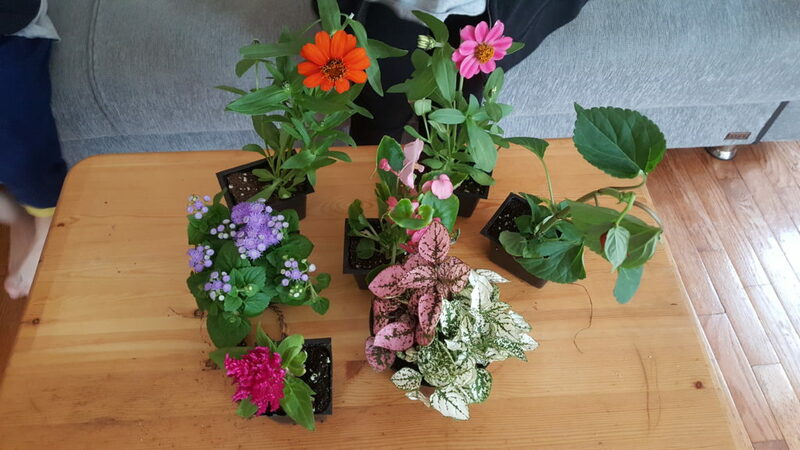 Check back in a few weeks and I’ll give an update on how these plants and flowers are doing in the new pots and new soil. 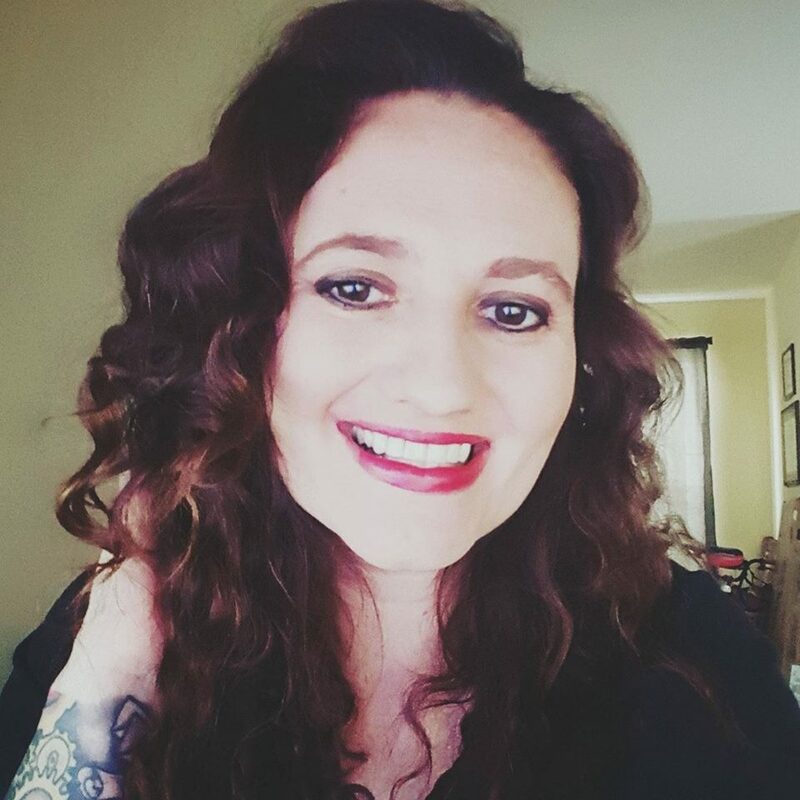 What Makes Essential Oils So Useful? I’m a firm believer in Miracle Gro Soil! I totally need the moisture control stuff since I’m TERRIBLE at watering my plants. 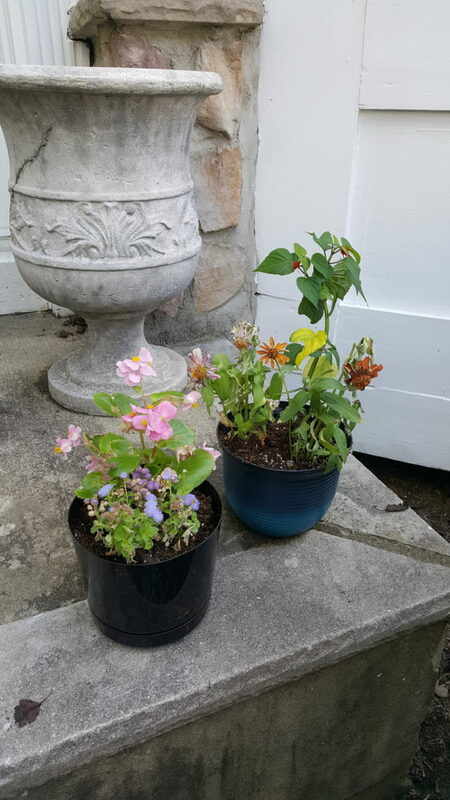 So far, my porch plants and flowers are thriving….let’s hope they can make it all summer! That will mostly depend on me staying consistent with watering, pruning, etc. oh boy! Good luck with your flowers! 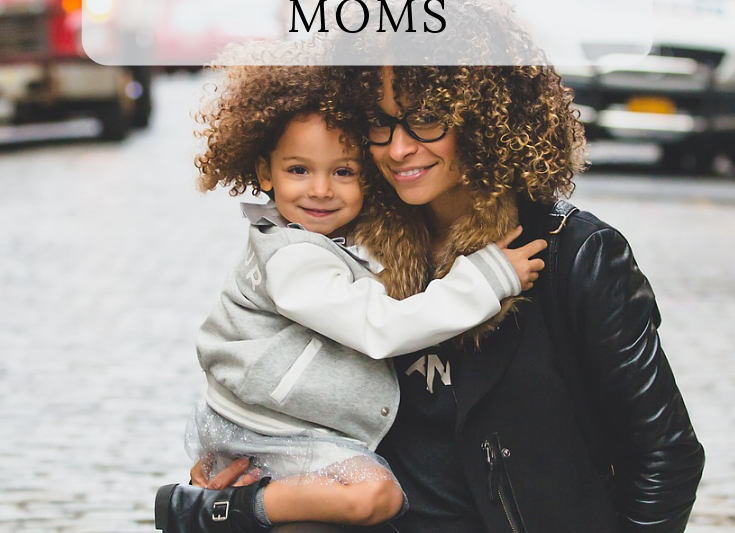 It’s so fun to keep those special Mother’s Day gifts. 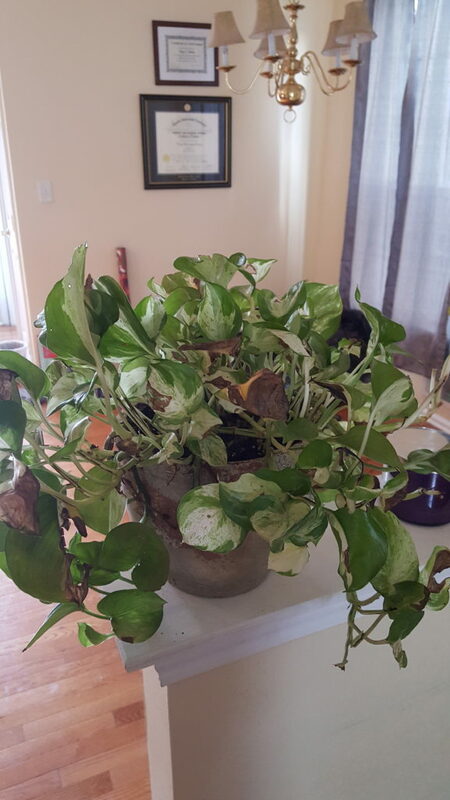 I’ve never been one to be able to keep plants alive sadly. Maybe I need to try this soil! You should definitely give it a try! I can usually only keep the most hardly plants alive but I do think the Miracle-Gro helps. 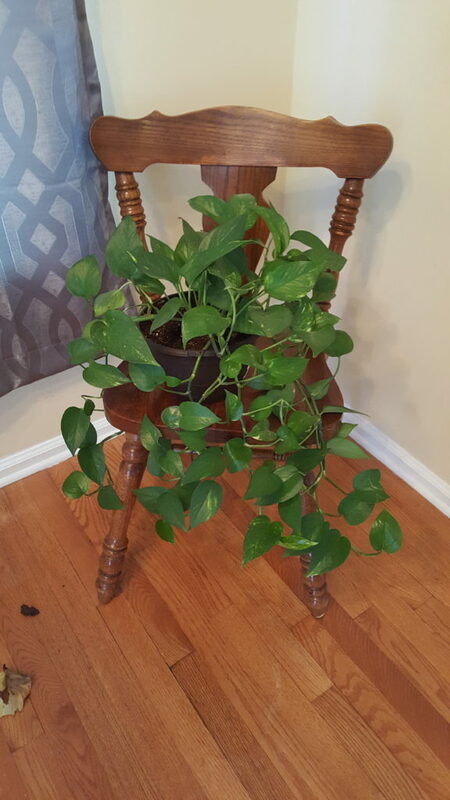 I love indoor plants and I would have as much as I wish if only my dog would give me assurance that he won’t knock them down or try to dig into the soil. Your plants are lovely. I think I will have to try that potting mix and slowly incorporate indoor plants in our house. Good soil nutrition is always KEY!!! I love gardening too. Veggies are my favorite. Theres just something awesome about growing your own food! I hate the smell of potting soul but it makes my plants looks so beautiful! These pots and the flowers are so lovely. I use this potting mix myself and I am a great fan of it.